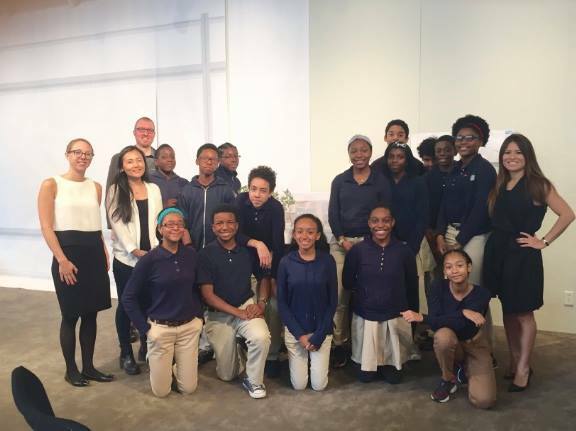 The eighth-grade class of the Harlem Academy- an independent school that prepares bright motivated students from undeserved communities for success at top secondary schools- were tasked with designing a building for an existing New York City lot that could serve the community. 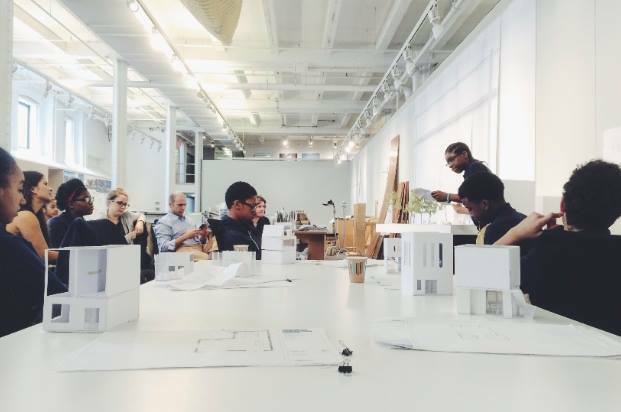 Working with Viñoly, students developed various concept designs before building a 3-D model, which had to consider function, aesthetics, structure, and sustainable design principles. 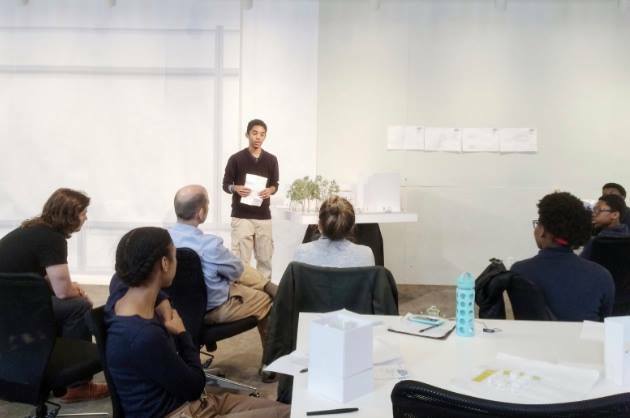 The culmination of the assignment was a visit to Viñoly’s New York headquarters this past Friday, where each student presented his or her design and model to a panel of architects, answering questions and receiving feedback.